In 1986, Kansas voters decided by referendum to amend the state constitution to allow pari-mutuel wagering at racetracks.1 The legislature passed the Kansas Parimutuel Racing Act the following year. Greyhound racing began in 1989 with the opening of two dog tracks – Wichita Greyhound Park and The Woodlands. A third track, Camptown Greyhound Park, opened for six months in 1995 before closing. 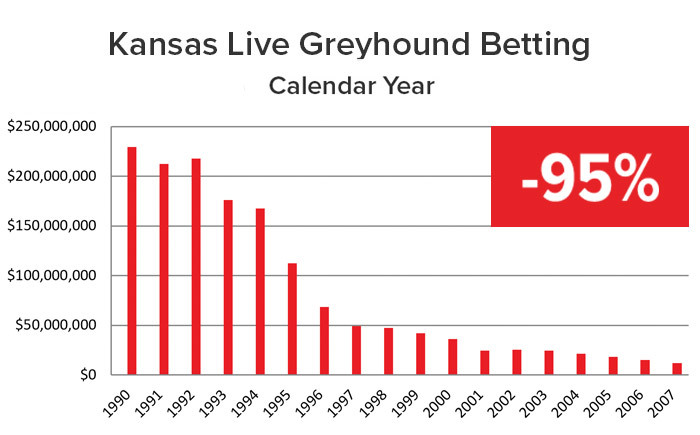 It then reopened in 2000 under new ownership, but closed again due to financial losses at the end of the year.2 By 2008, live racing had ceased at all Kansas greyhound tracks.3 By 2008, live racing had ceased at all Kansas greyhound tracks following a 95% decline in betting. 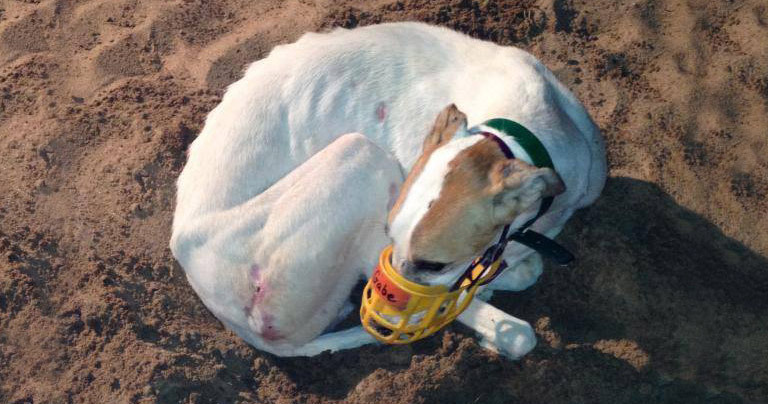 Greyhound racing itself remains legal in the state but new victims continue to be bred at dozens of greyhound farms in Abilene and the surrounding area.4 Repeated attempt to revive dog racing with slot machine profits have failed. “Parimutuel Racing Act,” Kansas Racing and Gaming Commission, krgc.ks.gov (accessed April 29, 2015). The Associated Press, “Owner closes greyhound race track,” Lawrence Journal-World, November 15, 2000, ljworld.com (accessed August 28, 2014). Mary Rupert, “Woodlands loses racing license,” Wyandotte Daily News, June 30, 2010. “Greyhounds,” Abilene Animal Hospital [nd], aahpc.com (accessed November 1, 2017).